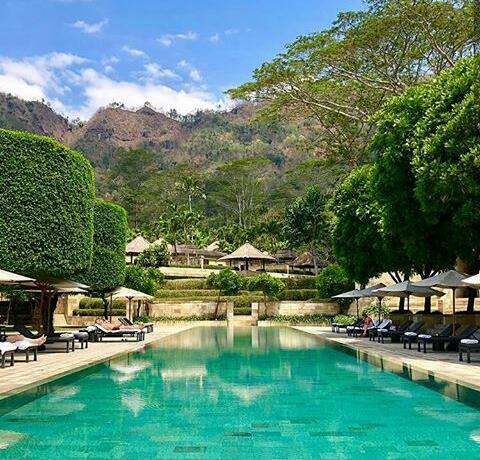 green Sukabumi stone at Amankila resort Bali offers a beautiful look and durable pool material. Here is why you must order it for your project. Travelers who enjoy an exclusive holiday in Bali visit luxurious accommodations like Amankila Resort. 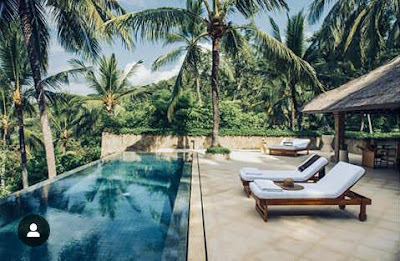 Located in Karangasem and facing the Bali Sea, Amankila combines modern luxury and traditional elements. Green Sukabumi stone at Amankila Resort Bali is one of the high-quality materials used to adorn the resort’s main features. Sourced from Indonesia’s popular natural stone production center, the green stones instantly draw guests’ eyes when they step into the resort’s outdoor area. Luckily, these stones are widely available, and anyone can order them to adorn their own properties. They are beautiful, durable, and can be customized to satisfy different construction or decoration needs. Amankila Resort uses green stones to adorn its outdoor pool. Guests can see green Sukabumistone at Amankila Resort Bali in the terraced swimming pools. The pools were constructed to give the swimmers a direct view toward the Bali Sea. The first and second pools have infinity model, and they are located next to outdoor dining areas and gazebos. The green-blue color imitates the sea, which looks more brilliant when surrounded by cream-colored limestone tiles. Green Sukabumi stone is also visible on other pools inside the resort area, including private pools and smaller outdoor pools. The color looks brilliant during the day or night. Green Sukabumi Stone - How to Get Premium Quality of Green Sukabumi Stone ? Green Sukabumi stone at Amankila Resort Bali is a local product. The stone tiles were crafted to fit the resort’s requirements. They are durable and able to withstand contact with moisture for many years. These green stones also retain temperature; they feel cooler during the day and warmer at night. The blue-green stones fit the pools’ sizes, customized to the needs. They also look great with the surrounding architecture, which combines traditional elements (gazebos, thatched roofs, Balinese designs) with modern resort look. Palm trees and shrubs emphasize the natural beauty of these stones. The color also imitates the resort’s private beach area, which looks perfect for relaxing., thanks to the blue and cream colors combination. Want to get these stone tiles for your swimming pool? Order from trusted stone supplier and maker. 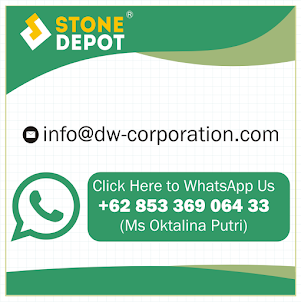 Indonesia-based Stone Depot is a perfect option to get high-quality green Sukabumi stone. This stone seller and supplier has served national and international customers since 2005. The supplier gets the stones from Indonesia’s famous natural stone centers, such as Sukabumi, Yogyakarta, and Bali. You can order customized stone tiles to match your project. Visit the Stone Depot website to get your ideal stone material. Take the green Sukabumi stone at Amankila Resort Bali to your property.